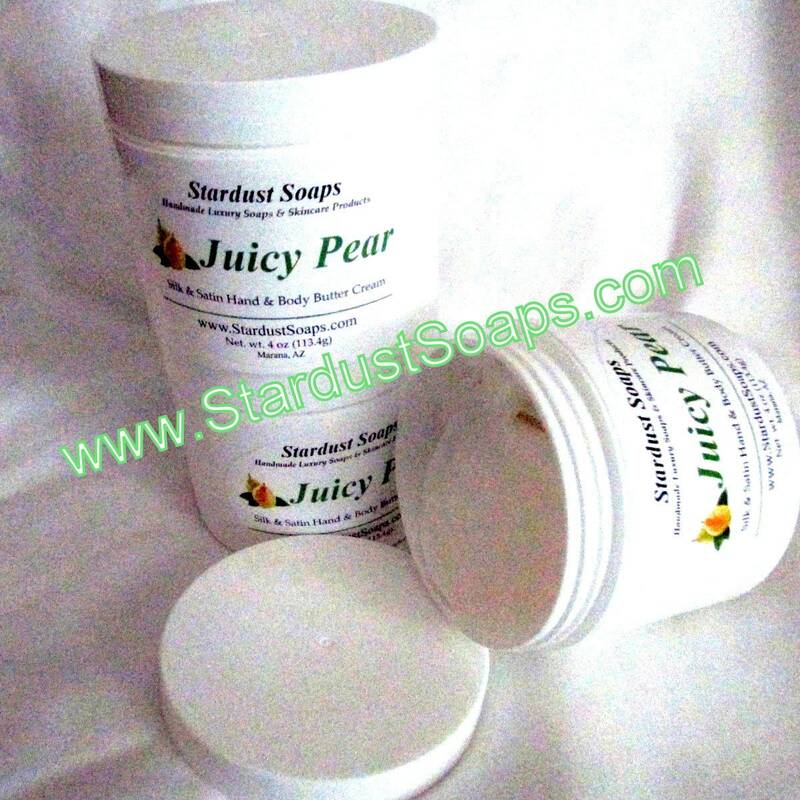 Stardust Soaps Juicy Pear Silk and Satin Moisturizer. 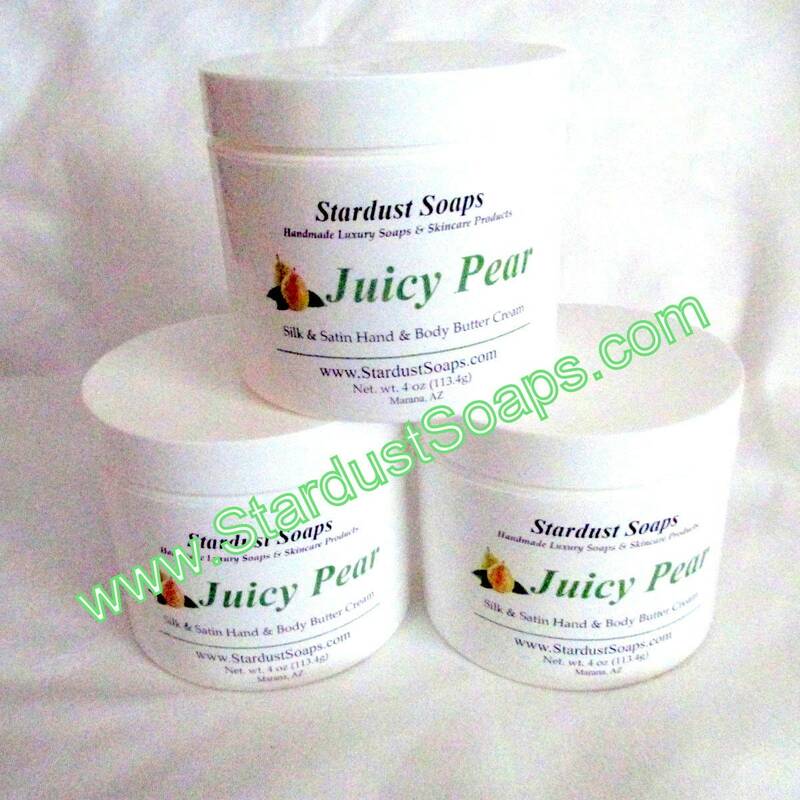 Stardust Soaps Handmade Rich and Thick Hand and Body Cream. Fresh Clean and Moisturizing! Gentle blend of sweet Juicy Pears fragrant oils. Contains Shea Butter, Aloe, Silk Amino Acids, Sunflower & Coconut Oils. Shea and Aloe are well known in helping moisturize and repair skin damage. I tell you Cassandra, this is by far my most favorite cream, I love the texture, and the way it makes my skin feel. Thank you for making it. - Mary.